OAR Converter can take an OpenSimulator Archive (OAR) and from it create textures, meshes and terrain suitable to import into a Unity scene. From Unity a range of virtual world or virtual reality experiences can be created. The converter has been created by Fumikazu Iseki (Avatar: @Fumi.Hax – @fumi_hax) and his colleagues at the Network Systems Laboratory of Tokyo University of Information Sciences (TUIS) in Japan with support from Austin Tate at the University of Edinburgh. OAR Converter from OpenSimulator Archive (OAR) to Collada files for use in Unity3D. Software developed by Fumi Iseki, Austin Tate, Daichi Mizumaki and Kohe Suzuki. This blog post is provided for convenience and using content from the original TUIS OAR Converter Japenese Web Site which should be considered definitive. OAR Converter can run on Linux and Windows and source code is available. Full instructions for compiling and using the source code version on these platforms is available via the TUIS Wiki OAR Converter Page. For convenience a version with Windows UI is also available as a ready to run package. [Local Copy]. Latest Version at the time of this blog post in September 2017 is v1.0.6 (at 2016/5/11) which is based on oarconv-1.4.4. Run the OAR Converter and using “File” -> “Open OAR File” select the OAR file you wish to convert. This will create a directory called OAR_ with the unpacked contents of the OAR file ready for conversion. 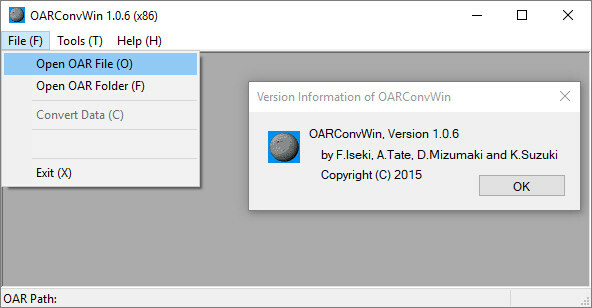 Now select “File” -> “Convert Data” from the OAR Converter File menu. This will create a directory called DAE_ with the converted content in it. The DAE_ directory created will contain the DAE/Collada objects for the conversion which have colliders (are solid) and one special DAE/Collada object for the terrain (named the same as the OpenSim region name). It will also have sub-directories for all Textures and for the Phantoms (objects with no collider). You could follow the video instructions in this YouTube video by Fumikazu Iseki. The first part of this video shows the use of the Linux version of the converter, but the part from [2:23] to [6:10] gives an example of importing the converted DAE/Collada folder contents and merging that with a Unity project/scene including adding a Unity Standard Asset water surface. Importing the included “UnityChan” character is shown in the last part of the video. Ensure you add the contents of “forUnity3D” folder in the OAR Converter distribution into your Unity project, adding Editor/SelectOARShader.cs at least. A slight improvement to one file in this distribution is available… the file in Unity3D/Editor named SelectOARShader.cs can be replaced with a version which fixes materials on bright objects imported to Unity. Replace it with UnitySelectOARShaderBrightFixed.cs [directory for right-click download] [direct link]. Don’t leave both versions in place. In your Unity project add an empty game object at 0,0,0 and name it the same as your OpenSim region name. Under this add three empty game objects named Solid, Phantom and Terrain also at 0,0,0. Drag the DAE_ folder in its entirety onto the Unity “Project” (Assets) panel. Select all the objects in the top level of this directory except the Textures and Phantoms sub-directories and drag them onto the “Solids” game object in the Unity “Hierarchy” panel. Optional: As the (large) terrain object for the region is imported it is usually split automatically by Unity into three sub-meshes of less than 64k polygons. These are all under one object named the same as your OpenSim region and will have sub-mesh names starting “GEOMETRY_”. You may wish to move this terrain objects and its three parts to the “Terrain” object in the hierarchy for tidiness and ease of management. Select all the objects in the Phantom directory and drag them onto the “Phantoms” game object in the Unity “Hierarchy” panel. Optional: Add a water layer at 0,0,0. [Instructions in YouTube Video][2:23] to [6:10]. Optional: Add a ThirdPartyController/Avatar to be able to run the scene and view the contents. [Instructions in YouTube Video] after [6:10]. Once you have successfully tried a conversion and understand the elements, you may wish to create a base for any future OAR conversion… which can include all the steps except for the drag and drop in of the actual DAE converted content. Do this yourself to incorporate the very latest OAR Converter content, scripts and Unity assets. You can if you wish save this as a “unitypackage” to incorporate into future Unity projects. Make a copy of the base project you created, or create a new unity project andimport the chosen unitypackage as a base, and then drag the OAR Converter produced “DAE” directory into the Unity Project Assets area, add the DAE folder assets and those in the DAE/Phantoms folder to the hierarchical view panel. Adjust the position of the chosen character and attached camera to suit the region, save the project, save the scene, and you should be good to go. OAR Converter has Tools and Settings to allow for a range of more flexible uses. As well as Collada .DAE files it can create .STL files suitable to drive 3D printers. Once objects are converted they can also be examined in a 3D viewer built into the tool. The region can be made available for use by multiple simultaneous users using Massive Multiplayer Online (MMO) servers or platforms. One example is Sinespace. The OAR Converter creates a lot of materials with repetitive (identical) textures. These are used to maintain other properties of materials such as shininess used by the Shader used to import OAR Converted content (via Editor/SelectOARShader.cs). This leads to rather large regions in Sinespace and hence larger than necessary download sizes for users using the content. The Sinespace developers have provided a useful and effective tool to reduce the repetitive textures used without effecting the visual appearance of the imported content. Always use this tool before uploading the region containing OAR Converter content before uploading a region to Sinespace. Use it via the Unity3D “Sine” -> “Tools” -> “OAR Material Cleanup” menu. The Sine menu is added to Unity when the Sinespace unitypackage is imported as described in “Sinespace – Getting Started“. In recent versions of Unity and Sinespace there can be some bright emissive objects created by the OAR Conversion process which are due to the use of “Legacy” shaders in Unity. These can be changed to Standard shaders (Standard/Diffuse or Standard/Diffuse-Emissive) in a bulk fashion, but some manual tidyup afterwards might be necessary especially to correct for the addition of shininess and metallic effects, and for emissive and semi-transparent objects. 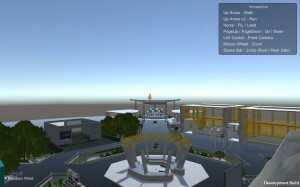 OpenSim OAR Convert to Unity Scene Blog Post by Austin Tate on 30th August 2015. 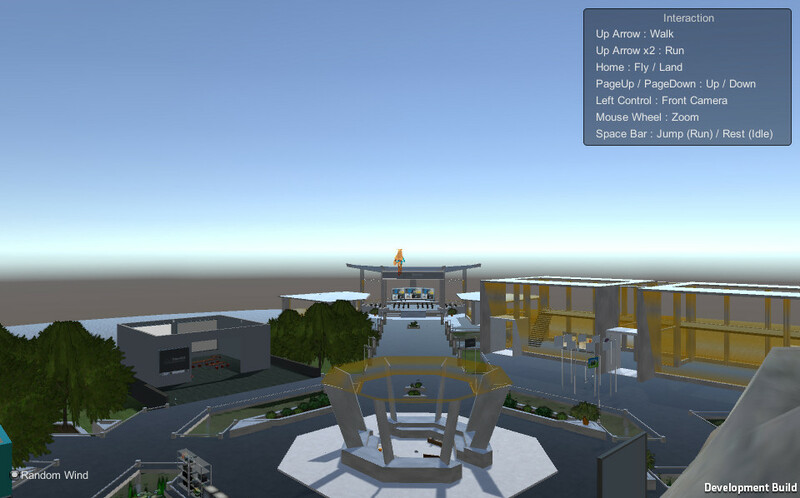 OpenSim OAR Convert to Unity Scene with Windows Interface Blog Post by Austin Tate on 24th October 2015. License (2016 11/19) – http://www.nsl.tuis.ac.jp/, All rights reserved. Neither the name of the OAR Converter nor the names of its contributors may be used to endorse or promote products derived from this software without specific prior written permission. Please respect the copyright of content providers when using OAR Converter. THIS SOFTWARE IS PROVIDED BY THE COPYRIGHT HOLDERS AND CONTRIBUTORS “AS IS” AND ANY EXPRESS OR IMPLIED WARRANTIES, INCLUDING, BUT NOT LIMITED TO, THE IMPLIED WARRANTIES OF MERCHANTABILITY AND FITNESS FOR A PARTICULAR PURPOSE ARE DISCLAIMED. IN NO EVENT SHALL THE CONTRIBUTORS BE LIABLE FOR ANY DIRECT, INDIRECT, INCIDENTAL, SPECIAL, EXEMPLARY, OR CONSEQUENTIAL DAMAGES (INCLUDING, BUT NOT LIMITED TO, PROCUREMENT OF SUBSTITUTE GOODS OR SERVICES; LOSS OF USE, DATA, OR PROFITS; OR BUSINESS INTERRUPTION) HOWEVER CAUSED AND ON ANY THEORY OF LIABILITY, WHETHER IN CONTRACT, STRICT LIABILITY, OR TORT (INCLUDING NEGLIGENCE OR OTHERWISE) ARISING IN ANY WAY OUT OF THE USE OF THIS SOFTWARE, EVEN IF ADVISED OF THE POSSIBILITY OF SUCH DAMAGE. Some of the image conversion or other packages used by OAR Converter will use Windows OS utilities or .dll libraries which are normally installed. If you get error messages about missing .dll files look online for advice. Try always to use official download links at Microsoft and the full install of the missing elements for such packages rather than using third party download sites just to get the specific .dll file. Such sites can be a source of viruses and Trojans, or point at commercial utilities marketed as driver repair systems. A user also reported that this may occur when trying to run OAR Converter from Google Drive, rather than directly from local disk. 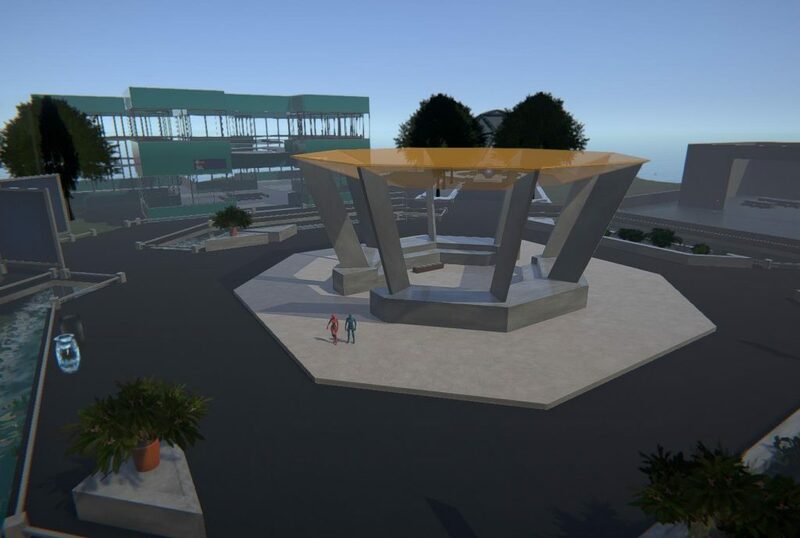 This entry was posted in OpenSim, Virtual World and tagged Converter, OAR, OpenSim, OSCC, OSCC17, sinespace, Unity. Bookmark the permalink. Robert Adams (@Misterblue) has created the “Convoar” tool to convert OpenSim OAR files into glTF™ (GL Transmission Format). 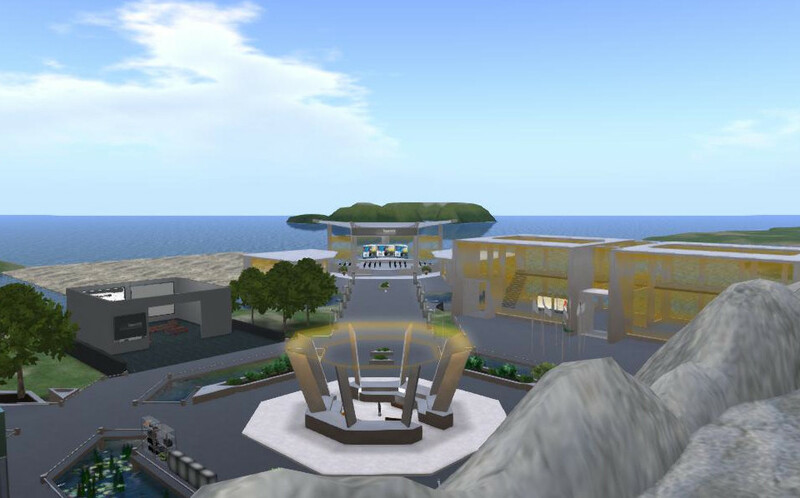 That OARs page includes links to view the 3D content via the “Simple Basil” viewer intended to act as a wewb viewer for virtual world content including from OpenSimulator.